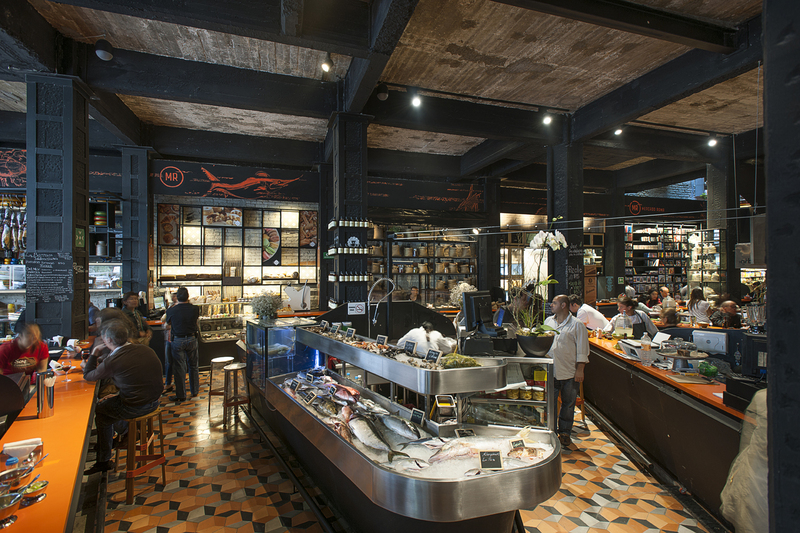 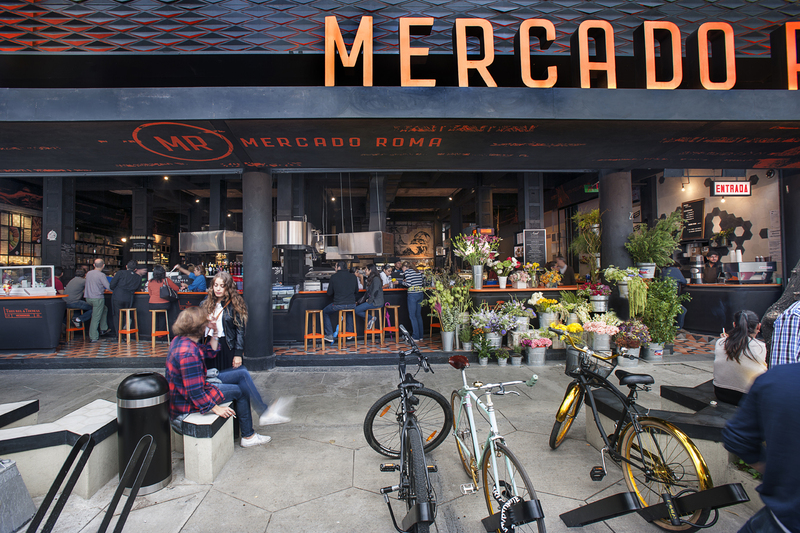 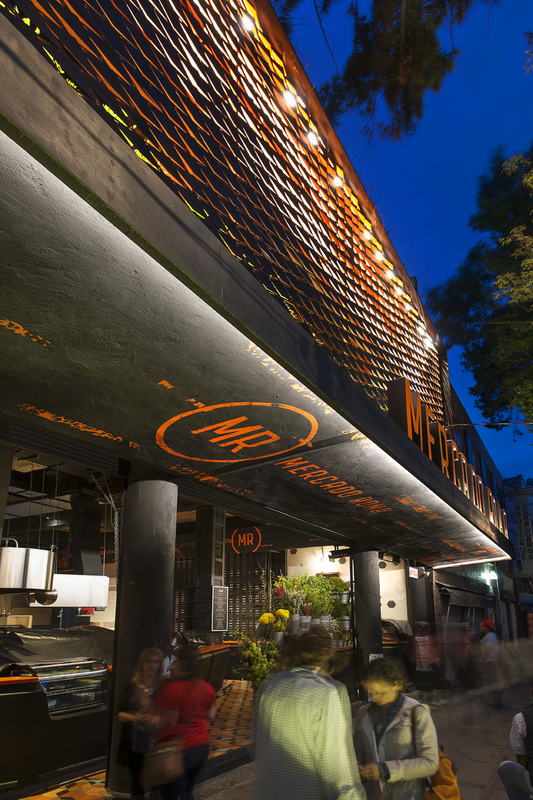 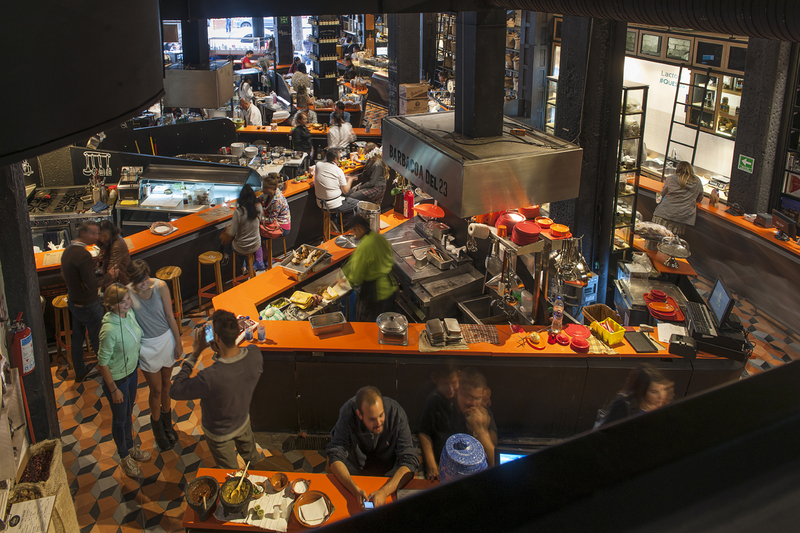 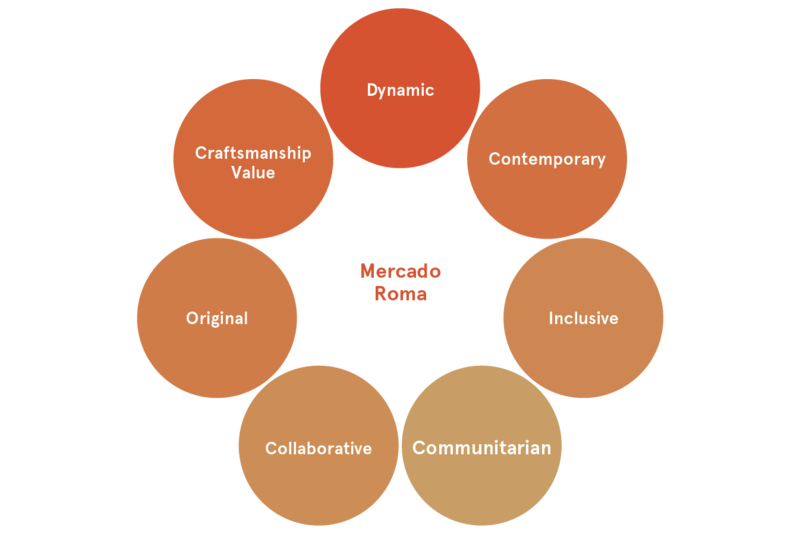 Conceived as a space to house rich contemporary expressions and Mexican gastronomic culture, Mercado Roma places a special emphasis on the sense of community and collaboration. 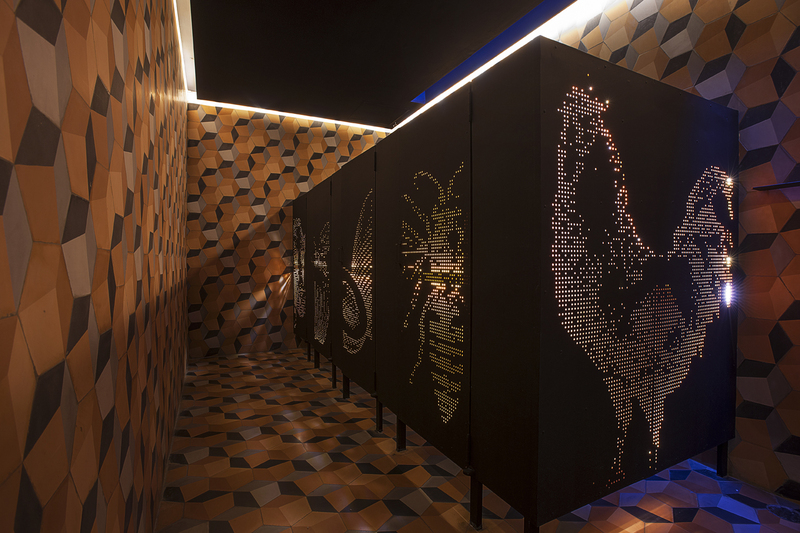 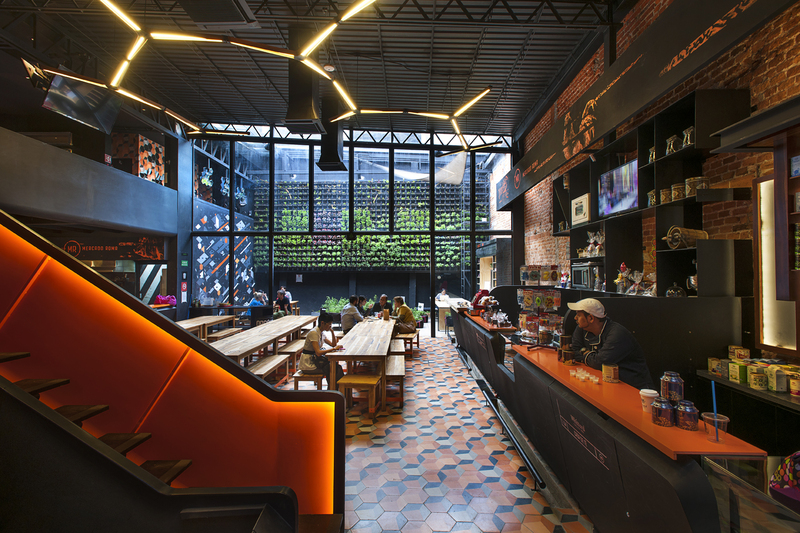 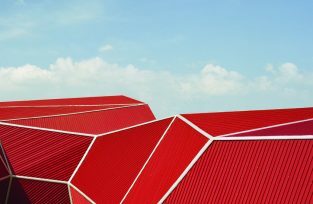 Designed by Rojkind Arquitectos and conceptualized by Cadena + Asociados Concept Design, Mercado Roma is designed to gather selected partners and vendors so they can offer their best products. 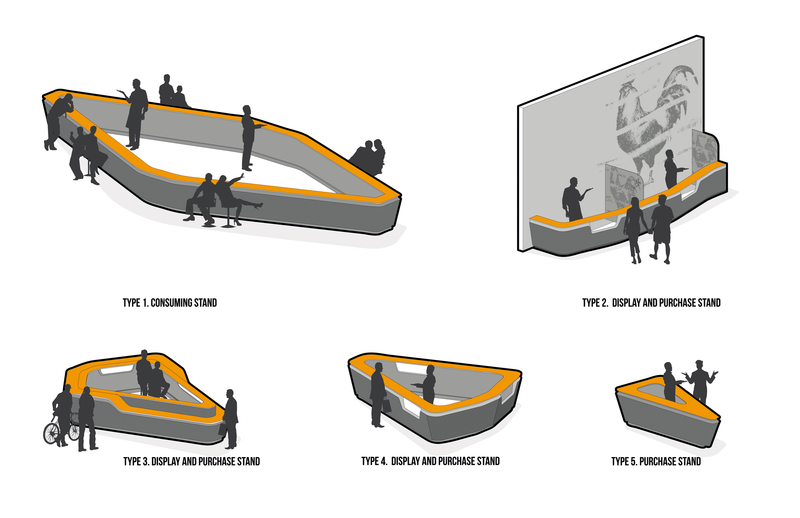 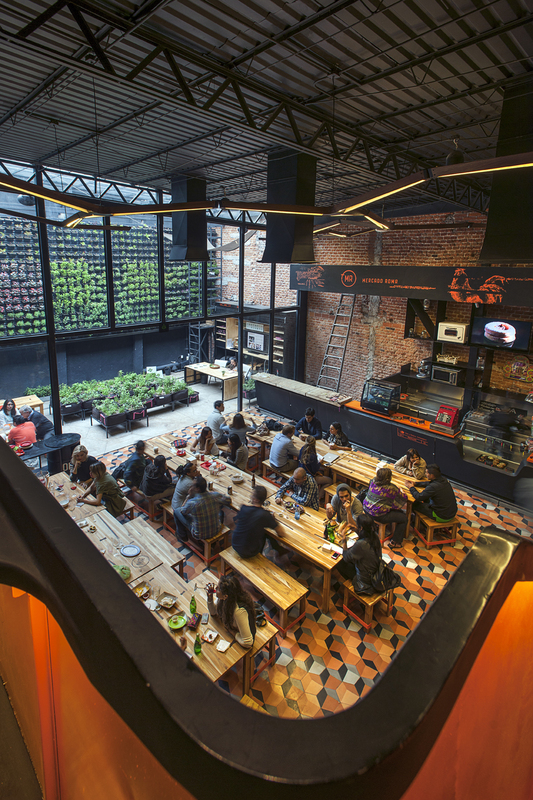 The space is also designed to favor chance encounters, exchanges, interactions, and relationships, creating a more meaningful experience. 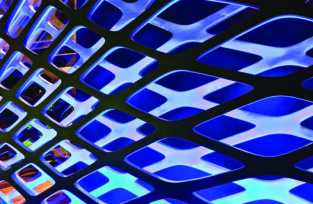 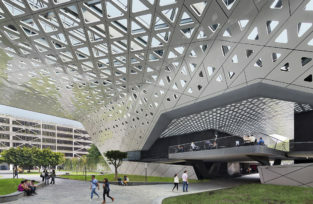 This project is the result of a strong collaborative process that merges multiple fields of design: architecture, engineering, industrial design, graphic design, and illustration among others. 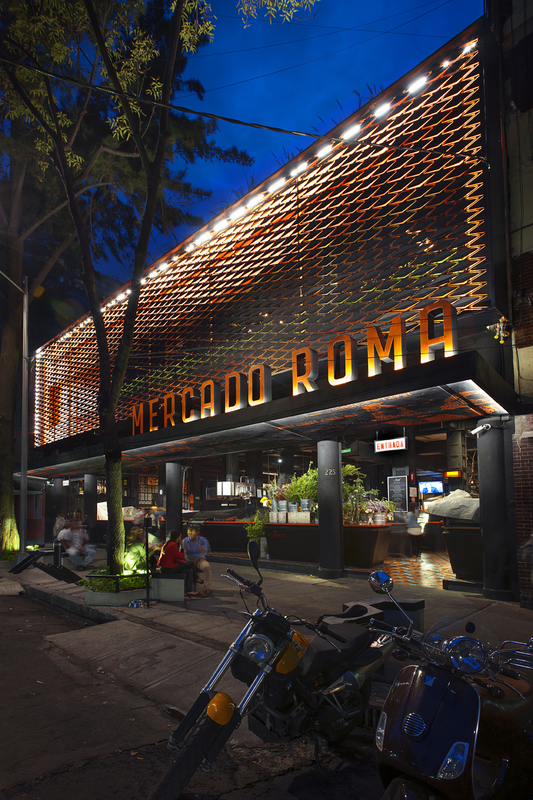 Mercado Roma repurposes an industrial space formerly occupied by the well-known Bar Leon in the Colonia Roma neighborhood. 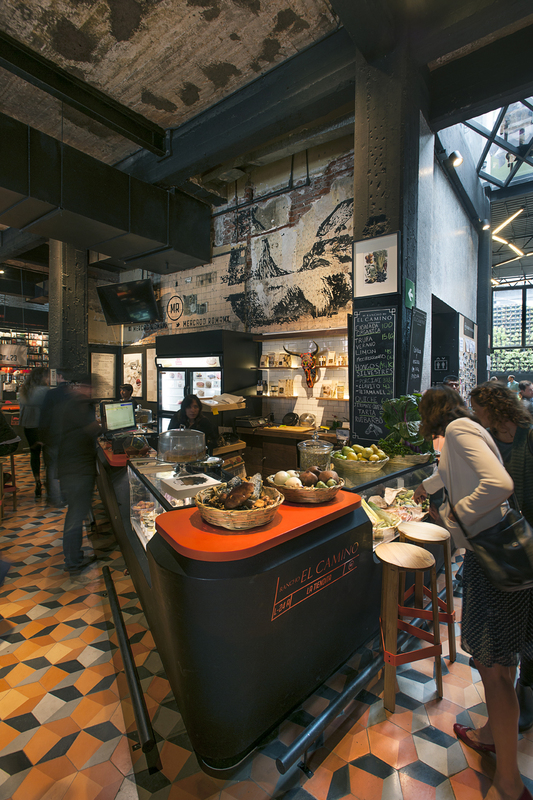 The street level includes fifty-three vending stalls arranged in an organic and fluid way, reinterpreting the grid of the traditional market. 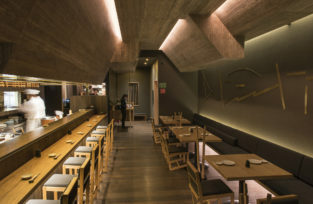 The two upper levels house two restaurants and a roof deck. 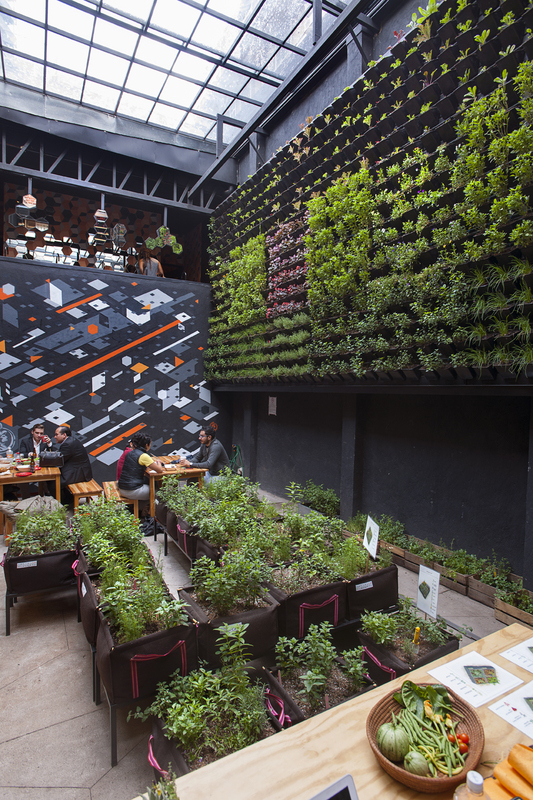 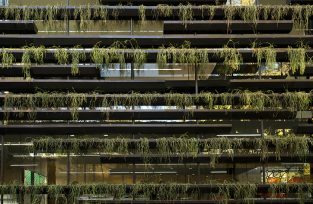 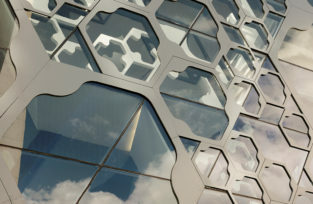 The project also includes and open-air space surrounded by a fully functional vertical vegetable garden from which fresh produce will be harvested to then be sold at the market, thus completing the cycle of production-distribution-retail.